Most family photo libraries start with their printed photo collection, whether in albums or still in the drug-store envelopes. These photos can be scanned and organized for the whole family to enjoy and share. Additionally, digital copies can be backed-up for safe storage. We scan your prints at 600 dpi (or better), rotate as needed, provide basic color correction, and some limited editing as needed. Additional editing and retouching/restoration is available with separate pricing for those images needing this level of work. 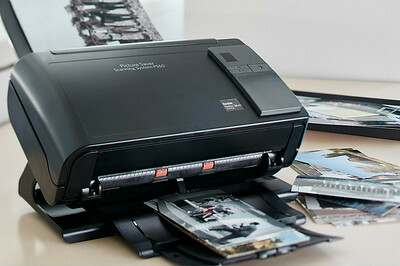 Prints that are 8”x10” or smaller, will be scanned on a Kodak PS-50 Print Saver System. 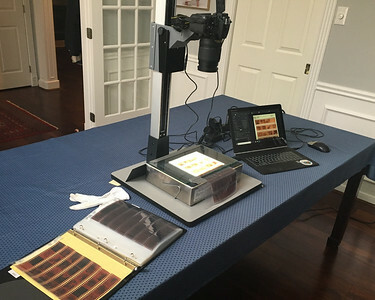 This scanner can also scan both the front and back of older photos at the same time to capture all the hand-written notes, dates and names on the back. Prints that are larger than 8”x10”, fragile, mounted in albums, or still mounted in frames can be scanned with a high resolution digital camera on a professional copy stand. This can also be used to digitize other family memorabilia, such as kid’s school art, that you want to preserve. Albums can be photographed per page to preserve the organization, notes and other things added to photo albums. If possible, the individual photos can then be removed and scanned separately to provide higher quality images of those photos. This digital copy of an album can be a great way to preserve them and pass along a copy to future generations. Print scans can be done as a basic level scan with the prints and digital copies returned in the same basic organization as received. However, larger groups of prints scans can be combined with the photo organization services to return your prints in archive quality storage AND your digital photos in an organized digital library that can be safely backed-up and shared. Read more about photo organizing on the "Consolidating and organizing all your photos" page.